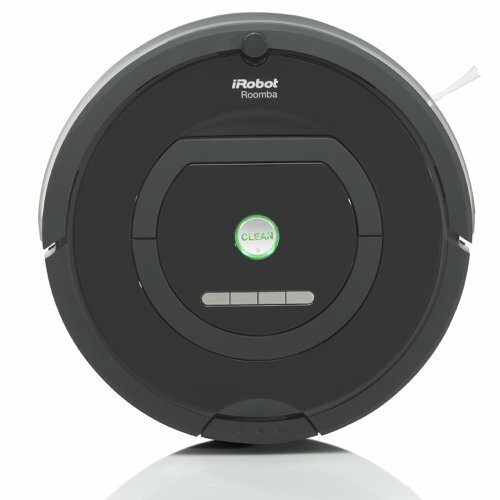 You need a Roomba--a robot that vacuums for you. It has changed my life. Truly. I love to walk barefoot. I hate feeling dust under my feet. Living in apartment with dark hardwood floors, every piece of white fur glares at you. Having a dog track in particles from outside is awful for any OCD person. Normally, I'd spend a half hour every couple days vacuuming. Not anymore. It vacuums fine particles of dust that a regular vacuum, including a Dyson, leaves behind. I can turn it on, leave, and come home to clean floors. It finds its way back to the dock to recharge. It tells me when I need to empty the bin, which is easy to do. It picks up all the trace litter from the litter box. It picks up pet hair. And is good at it. It picks up dirt particles brought in from outside. It enables me to not cringe at the thought of company walking around in shoes. When they leave, I just run the Roomba. No effort. It makes my home less allergenic; its HEPA filters work very well. It has a remote control, which makes me feel like a kid playing with toy cars. It moves seamlessly between wood, Spanish tile, slate, and wool rugs. And fits under all my furniture--bed, couch, credenza, coffee table, nightstands--things I'd normally not move order to clean with an upright vacuum cleaner. It forces me to pick things off the floor (shoes, pet toys, fallen blankets), making me a neater person overall. The Roomba is finding its way under the couch. About to dock, under the couch, where it will charge. Nobody has to see a vacuum when it's hidden under furniture. ...And the dog remains un-phased. It's expensive. Really expensive. But it'll save you so much time. Lastly, who wouldn't want this form of entertainment? It was a major motivating factor for me. Go get yourself a Roomba. You'll thank me.